Taken in Gunbalanya, Australia, during our project "Sisters of Craft". Here we met with a very traditional indigenous lady who was very happy to show and teach us the very very old traditional way of weaving in their region. 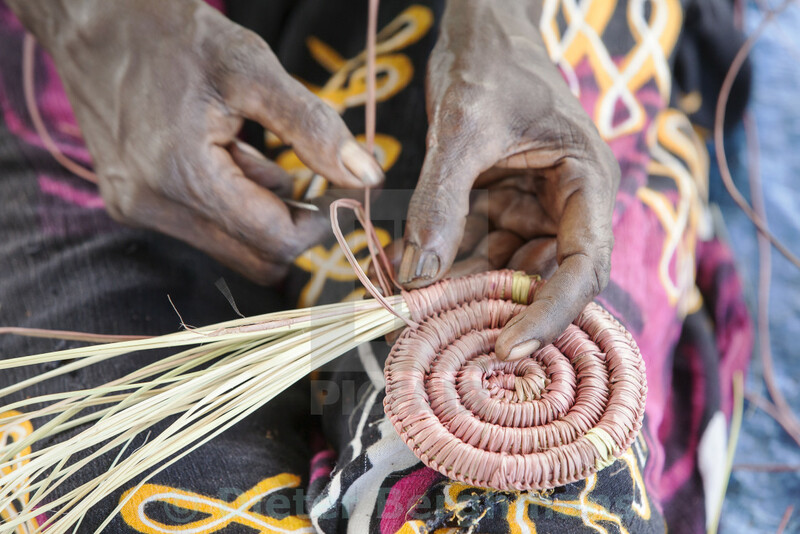 For them, the weaving of the baskets, is like the circle of life. So full of powerful traditions and spirits and so skilled in teaching others in order to keep the tradition alive.